As the world becomes more interconnected, economies more global and communities more diverse, educating people of all ages to become globally competent and able to learn, live and work together is increasingly recognized as a necessity. The urgency of today’s problems — isolationist politics, international conflicts and clashes of ideologies — requires united action from extraordinary individuals. You are essential to the conversations that will make a difference! The 2018 AFS Global Conference is supported by the Organisation for Economic Co-operation and Development (OECD), Teach For All, the World Bank, UNESCO Mahatma Gandhi Institute of Education for Peace and Sustainable Development (MGIEP), and Yidan Prize Foundation. …and more speakers, who will be announced soon! Join 500 educators, business leaders and innovators, policymakers and government representatives, international education and non-formal learning providers, community organizations, social entrepreneurs and volunteer leaders. 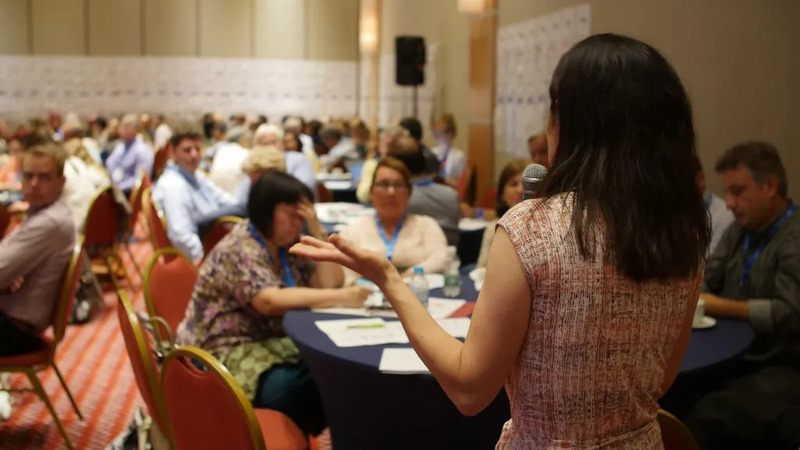 The 2018 AFS Global Conference is an opportunity to network across sectors and countries to define how to meet the growing demand for global competence, by creating and aligning policies, tools and resources that empower educators to deliver these essential 21st century skills to learners at every life stage. How can all stakeholders in 21st century education connect, collaborate and align their global competency needs? What resources are required of different stakeholders—individually and working together—to equip and support life-long learners in ensuring that global competency development is a fundamental component of education for everyone? How do we better integrate intercultural learning and global competency development into educator preparation and training? What are some innovative practices that educators and organizations have developed to advance global competence? What role can civil society and community organizations (NGOs, study abroad organizations, non-formal education providers) play in supporting educators and learners in global competence development? What is the role of the private sector in supporting the development of global competence? Attendees of the 2018 AFS Global Conference will get a unique opportunity to meet local educators and community leaders dedicated to intercultural learning for an “insider’s take” on Budapest and the Hungarian educational scene. AFS volunteers will be there to support and guide you throughout the event, and you may want to round off your experience by a very special invitation to a home-cooked meal. Bonus: Witness the launch of the AFS Global Awards which will recognize extraordinary individuals and organizations from around the world who are working to advance active global citizenship, the globalization of schools and institutions, and expanding access to intercultural education.